From Tuesday 12 March 2019 until Saturday 12 March 2039: Enjoy 15 % off! From Tuesday 12 March 2019 until Saturday 12 March 2039: Enjoy 10 % off! 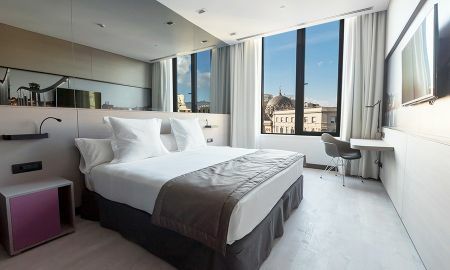 Negresco Princess is a central, urban and minimalistic hotel. 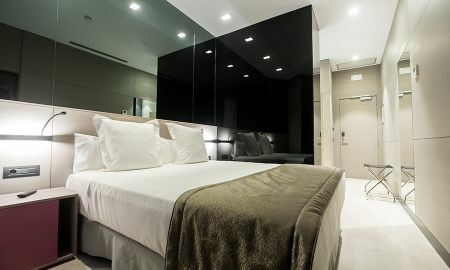 Its 128 rooms are modern, spacious and fully equipped for a perfect stay. The Negresco restaurant offers the best of Catalan gastronomy. For a more informal menu, “La Terrazza by Bobby's” provides delicious tapas, snacks, and gourmet sandwiches along with the best cocktails and views of Barcelona. 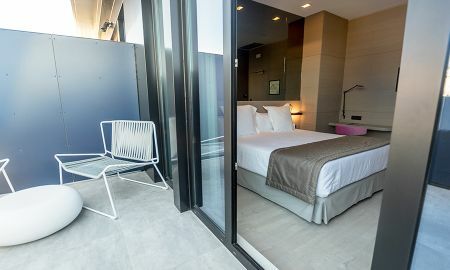 Moreover, Negresco Princess Hotel offers a wide range of services, from a fitness room, a sauna to an exclusive terrace in the seventh floor with infinity pool, solarium and amazing views of Barcelona. 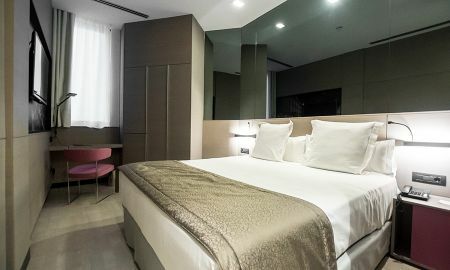 Negresco Princess is located in the center of Barcelona, few steps away from Plaza Urquinaona, Plaza Catalunya and the famous Paseo de Gracia.